TOP FLOOR (no one living above you!) 1,875 S.F. CORNER CONDO w/10 ft. Ceilings! SW Exposure for a Bright & Sunny home w/great views, corner location w/great cross ventilation for Spring & Summer breezes. Radiant heat along the window perimeter in this 2 Bedrms, 2 Baths, w/Large Laundry Rm., stackable Full Size Washer & Dryer & Laundry Tub, Huge Great Rm., 9 cable outlets, 18 sprinkler heads for fire safety, MBS. w/whirlpool tub, sep. shower w/bench, his/hers vanities, enclosed toilet area, cable outlet for a TV, linen closet, walk-in closet plus wall closets in the Master Bdrm. Emergency stairwell adj. to the unit (you will enjoy not having another unit on the other side of your master bedrm. wall). Eat-In Kitchen w/ 42" cabinets & stainless steel appl. and a window over the kitchen sink!. Add'l large secured storage area on unit's fl., 2 Elev., 2 SIDE by SIDE PARKING SPACES in LL garage, 16 common area security cameras - OWNER OCCUPIED RESIDENCY, NOT Your Ordinary Condominium! Pet Restrictions: Cats OK, Dogs OK, Pet Count Limitation, Pet Weight Limitation, / 25lbs. One Itasca Place #501, Itasca, IL 60143 (MLS# 10135229) is a Condo / Townhouse property with 2 bedrooms and 2 full bathrooms. One Itasca Place #501 is currently listed for $310,000 and was received on November 11, 2018. Want to learn more about One Itasca Place #501? 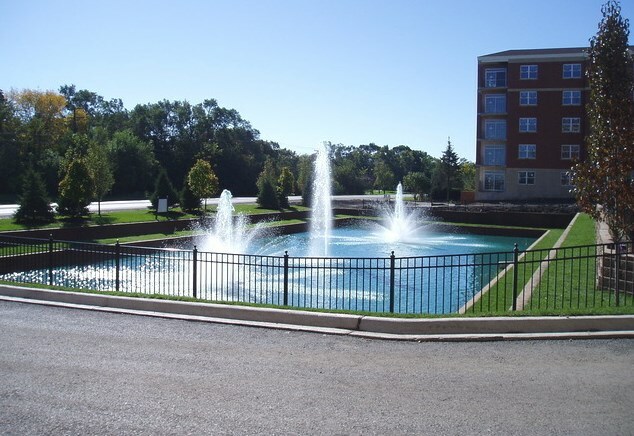 Do you have questions about finding other Condo / Townhouse real estate for sale in Itasca? You can browse all Itasca real estate or contact a Coldwell Banker agent to request more information.